Our Service may contain links to third party web sites or services that are not owned or controlled by Markus Hermannsdorfer Travel Photography. 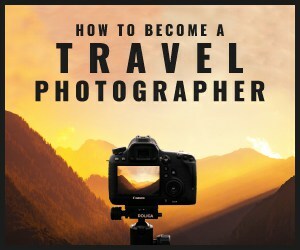 Markus Hermannsdorfer Travel Photography has no control over, and assumes no responsibility for the content, privacy policies, or practices of any third party web sites or services. We do not warrant the offerings of any of these entities/individuals or their websites. You acknowledge and agree that Markus Hermannsdorfer Travel Photography shall not be responsible or liable, directly or indirectly, for any damage or loss caused or alleged to be caused by or in connection with use of or reliance on any such content, goods or services available on or through any such third party web sites or services. We strongly advise you to read the terms and conditions and privacy policies of any third party web sites or services that you visit. Unless otherwise stated, all written content on this site is owned by Markus Hermannsdorfer Travel Photography and/or our affiliates or licensors, and are protected by copyright, trademark, and other intellectual property laws. The Site is provided solely for your personal noncommercial use. You may not use the Site or the materials available on the Site in a manner that constitutes an infringement of our rights or that has not been authorized by us. More specifically, you may not modify, copy, reproduce, republish, upload, post, translate, sell, create derivative works, exploit, or distribute in any manner or medium (including by email or other electronic means) any material from the Site without prior permission. You may, however, download, print, and/or share one copy of individual pages of the Site for non-commercial use, provided that you keep intact all copyright and other proprietary notices. By posting or submitting any material (including, without limitation, comments, blog entries, Facebook postings, photos and videos) to us via the Site, internet groups, social media venues, or to any of our staff via email, text or otherwise, you are representing: (i) that you are the owner of the material, or are making your posting or submission with the express consent of the owner of the material; and (ii) that you are eighteen years of age or older. In addition, when you submit, email, text or deliver or post any material, you are granting us, and anyone authorized by us, a royalty-free, perpetual, irrevocable, non-exclusive, unrestricted, worldwide license to use, copy, modify, transmit, sell, create derivative works from, distribute, and/or publicly perform or display such material, in whole or in part, in any manner or medium, now known or hereafter developed, for any purpose. The foregoing grant shall include the right to exploit any proprietary rights in such posting or submission, including, but not limited to, rights under copyright, trademark, service mark or patent laws under any relevant jurisdiction. Also, in connection with the exercise of such rights, you grant us, and anyone authorized by us, the right to identify you as the author of any of your postings or submissions by name, email address or screen name, as we deem appropriate. Part of this Site contains materials submitted to Markus Hermannsdorfer Travel Photography by Third Parties. It is the responsibility of these Third Parties to ensure that the materials submitted for inclusion on this Site comply with national and relevant foreign laws. We accept no responsibility for the content of any Site to which a hypertext link from this Site exists. Such links are provided for your convenience on an ‘as is’ basis. Should you find any inaccurate information on the Site, please inform us at markusgivesyoufreedom@gmail.com and we shall correct it as soon as it is practicable to do so. I create all my content and I find my images via Creative Commons if I do not supply them myself or get permission from the artist to use their work. I have the deepest respect for others’ rights in their work.